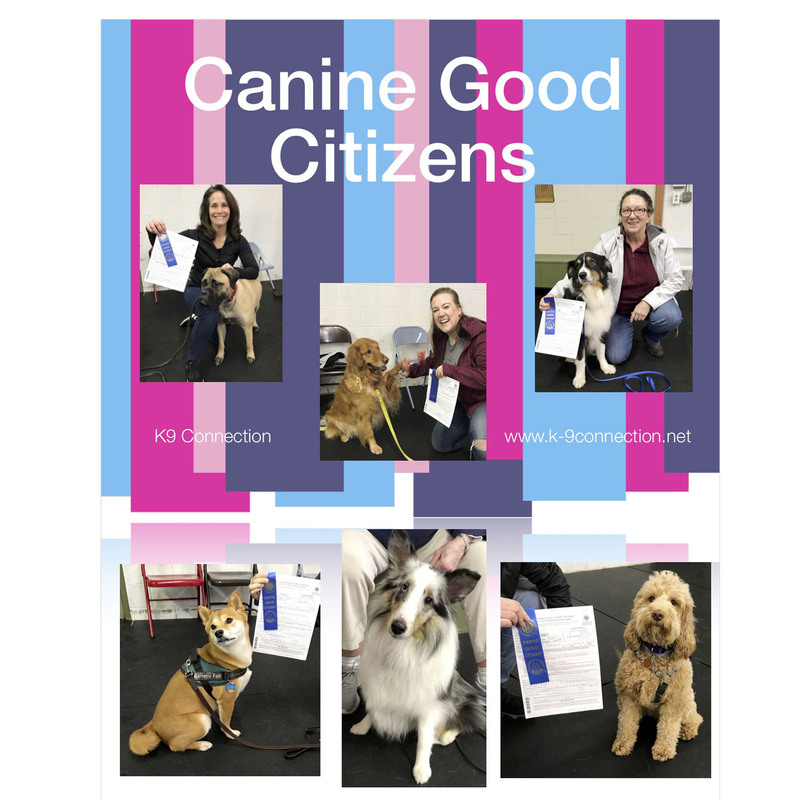 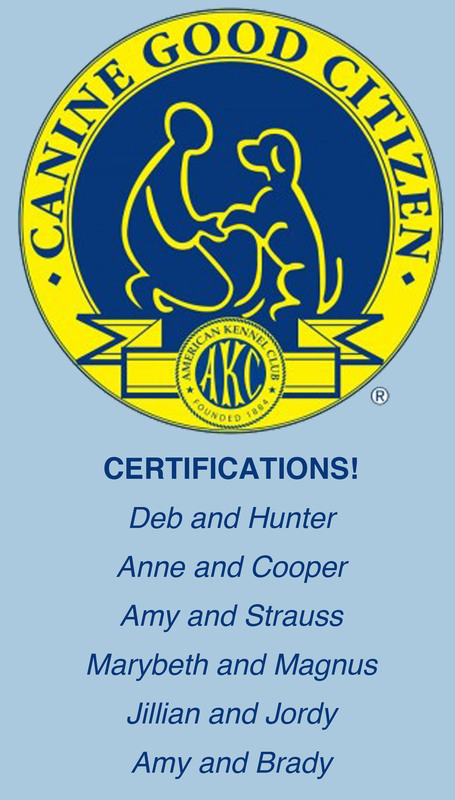 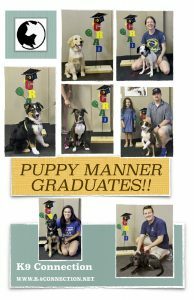 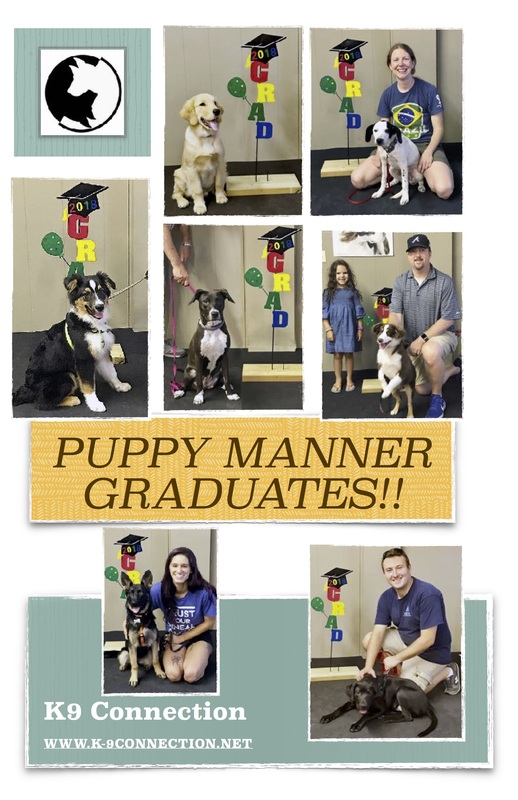 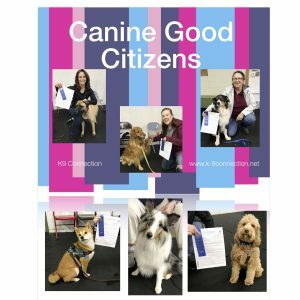 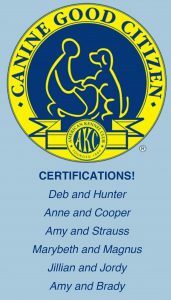 Linda and Rorie, Linda and Penny for earning their CGC Certifications today! 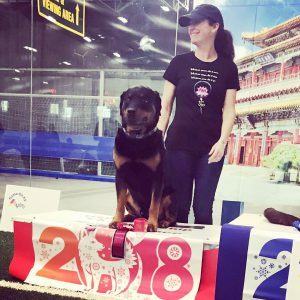 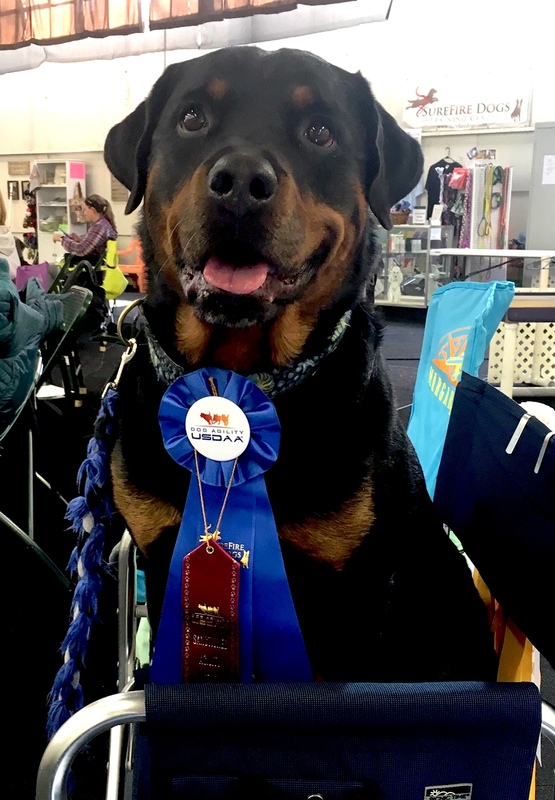 And congratulations to our agility instructor Cris and her Rottweiler, Ocean for a successful weekend at the Surefire USDAA Agility Trial! 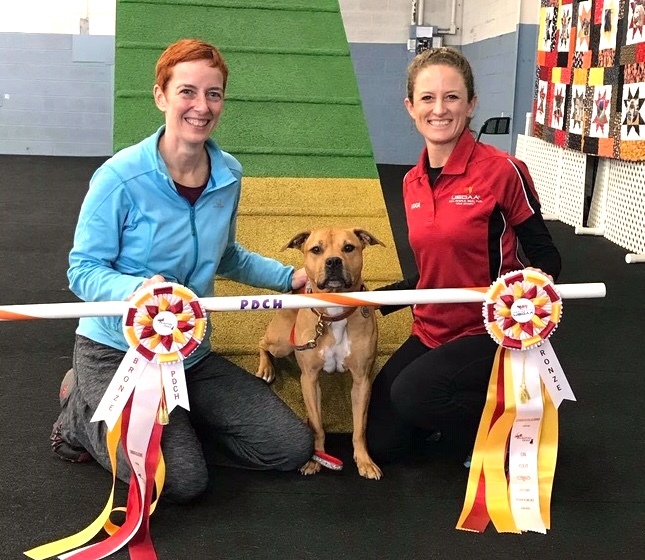 Ocean earned a Grand Prix Q with a first place and that means he has a Bye for Grand Prix finals at the USDAA Regionals this summer. Ocean and Cris also earned a Performance Versatility Pairs Tournament Team Q. 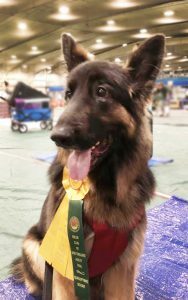 Way to show you guys!! Congratulations to Katie and Riley who went 3 for 4 at the Surefire USDAA agility trial yesterday. 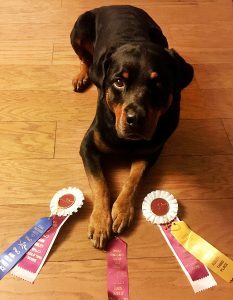 They earned Qs and first places in Starters/P1 Gamblers, Standard, and Snooker! 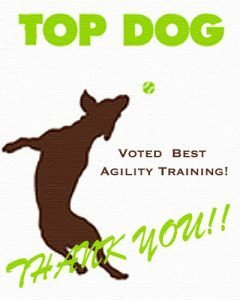 Here’s to a great start to their agility trialing career! 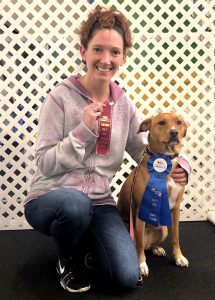 Way to show you two!! 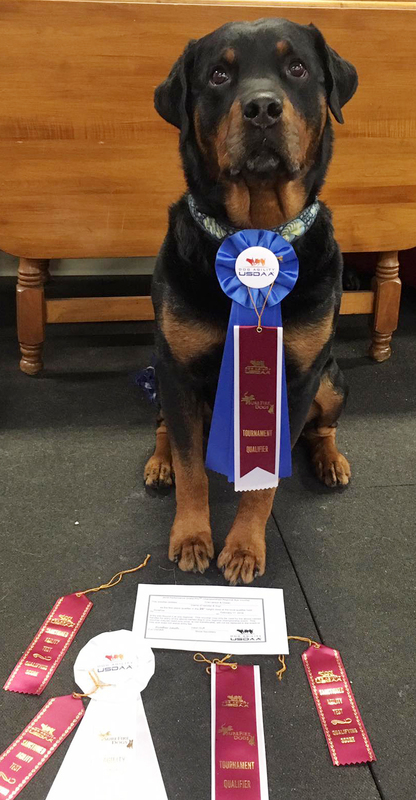 Blitzen titled in Novice Jumpers and got qualifying scores in intro, regular and novice tunnelers at the NADAC trial! Performance Dog Champion Bronze (PDCH) and Lifetime Achievement Bronze (150 qualifying scores) for Tillie! 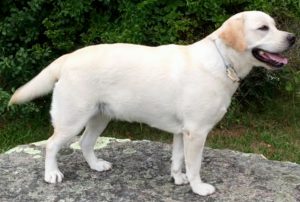 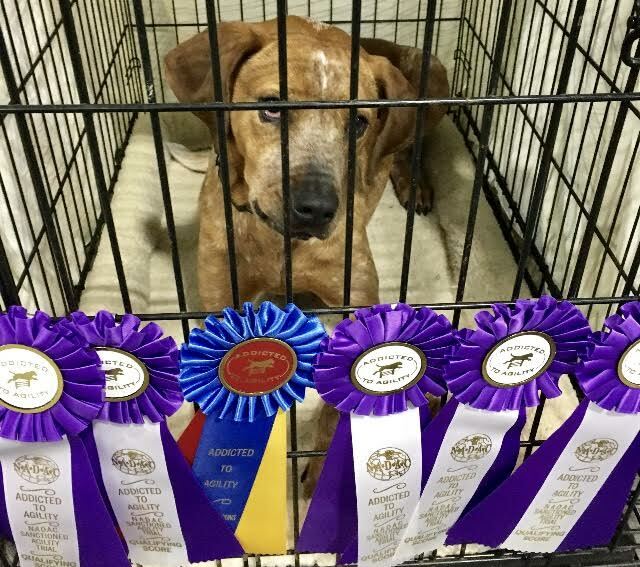 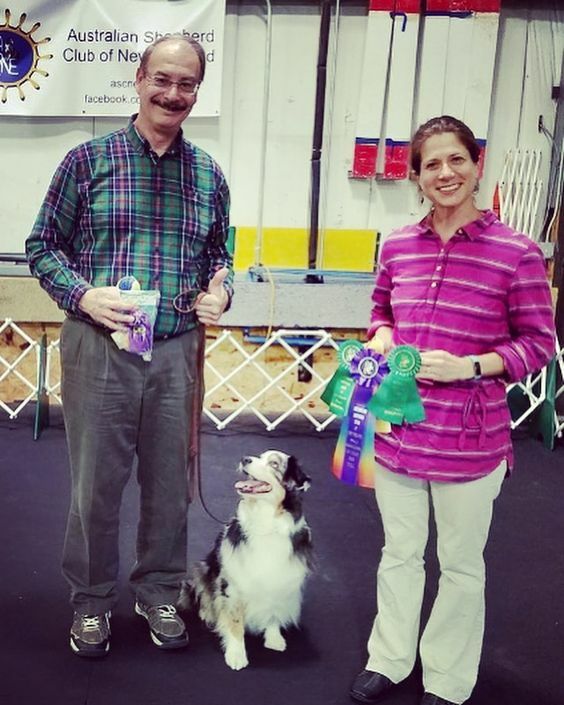 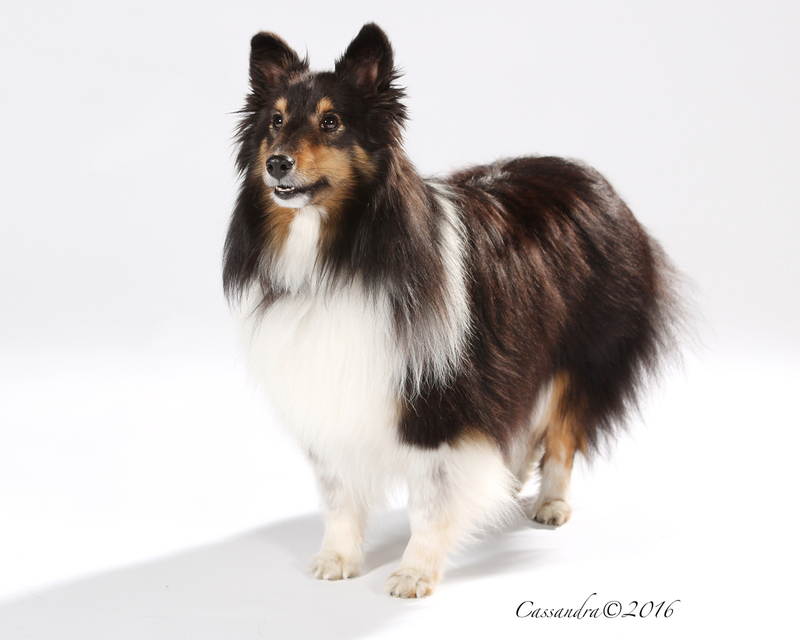 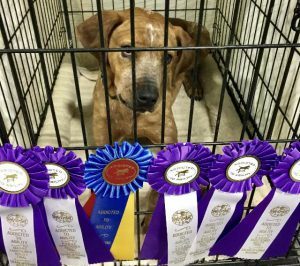 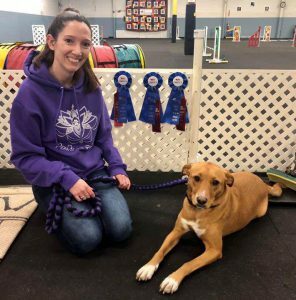 Link and Steve competed in two RALLY Trials at the Wampanoag Kennel Club. Link had a 100 (1stplace) in Trial #1 and a 97 in Trial #2. 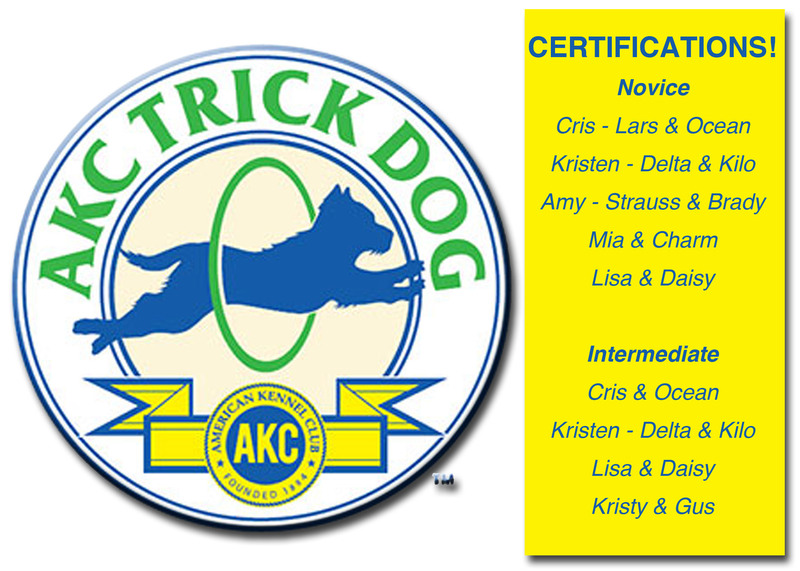 Congrats on completing their AKC RALLY MASTERS title! 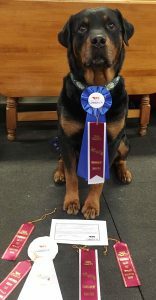 Alexa and Ruby earned a 1st place Novice Standard Preferred. Karen and Bug-Z earned their Excellent Standard Preferred title and 1st Excellent Jumpers Preferred Leg with a 1st place. 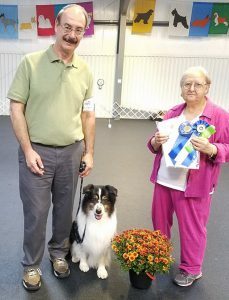 Congratulations to Susan Barrett and Highmeadows Sea Glass “Amber” for earning their 1st Rally leg with a score of 95! Way to show ladies! 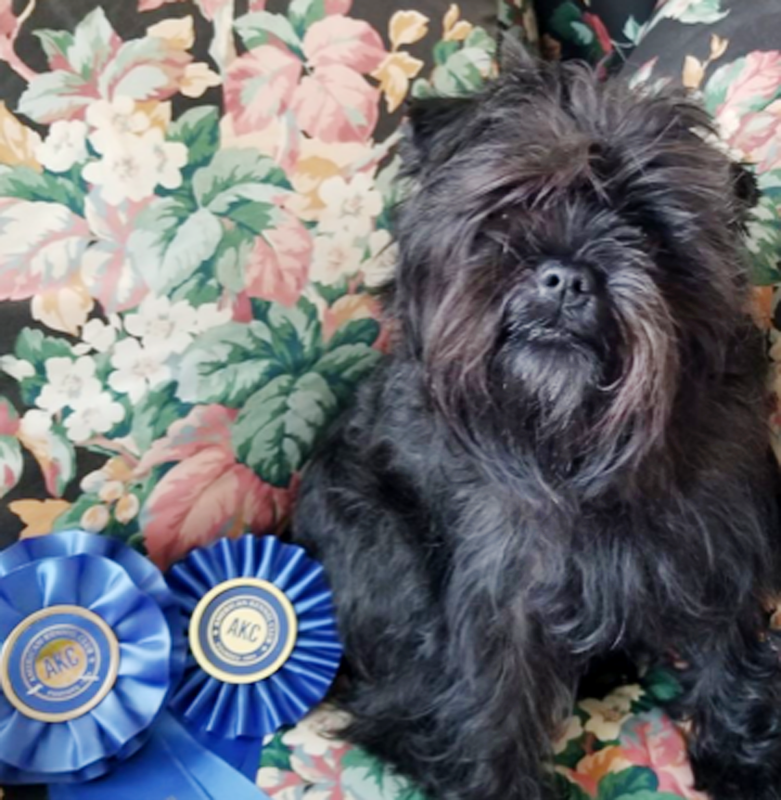 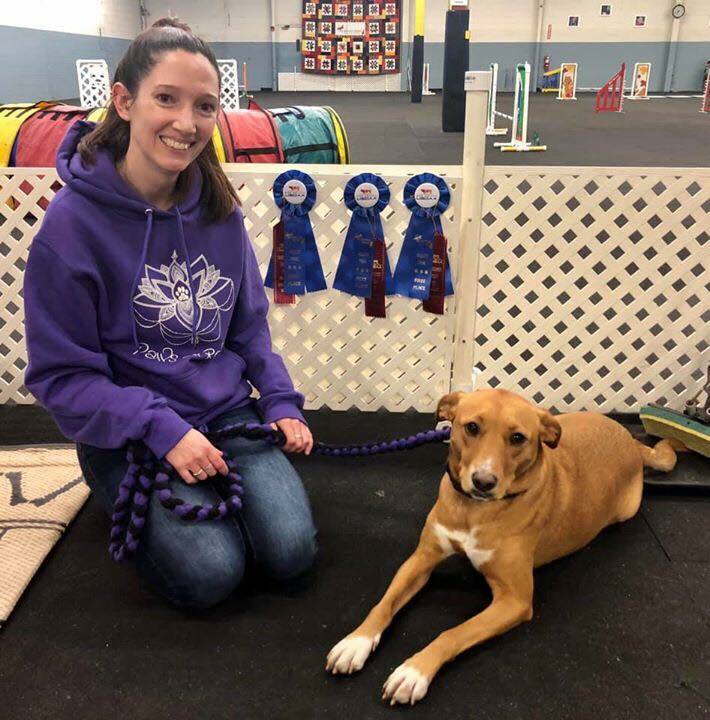 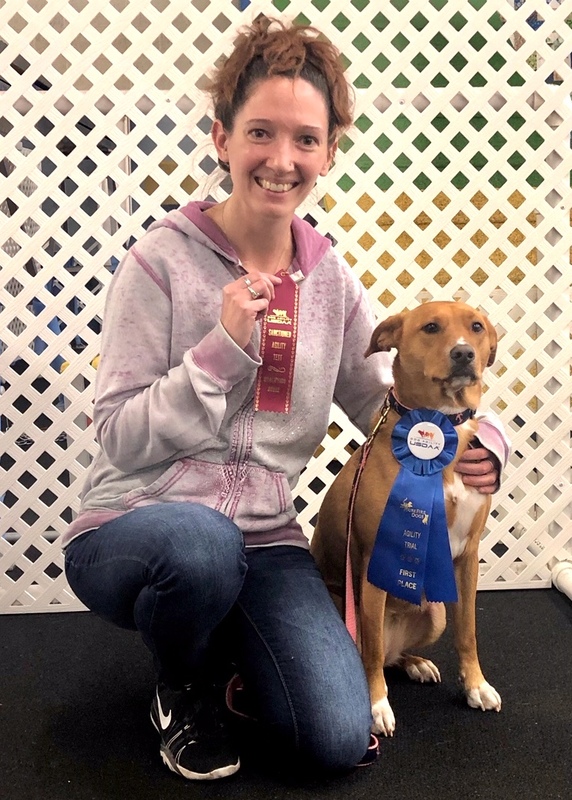 Congratulations to Alexa & Ruby for earning a 3rd place ribbon (and first AKC Q) for her Standard agility run on Sunday! They are now working toward her NAP title! 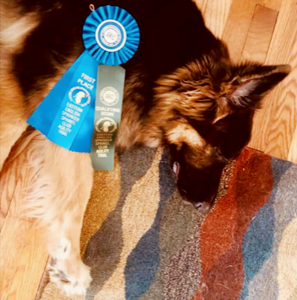 Excellent Standard Title in Agility this weekend!